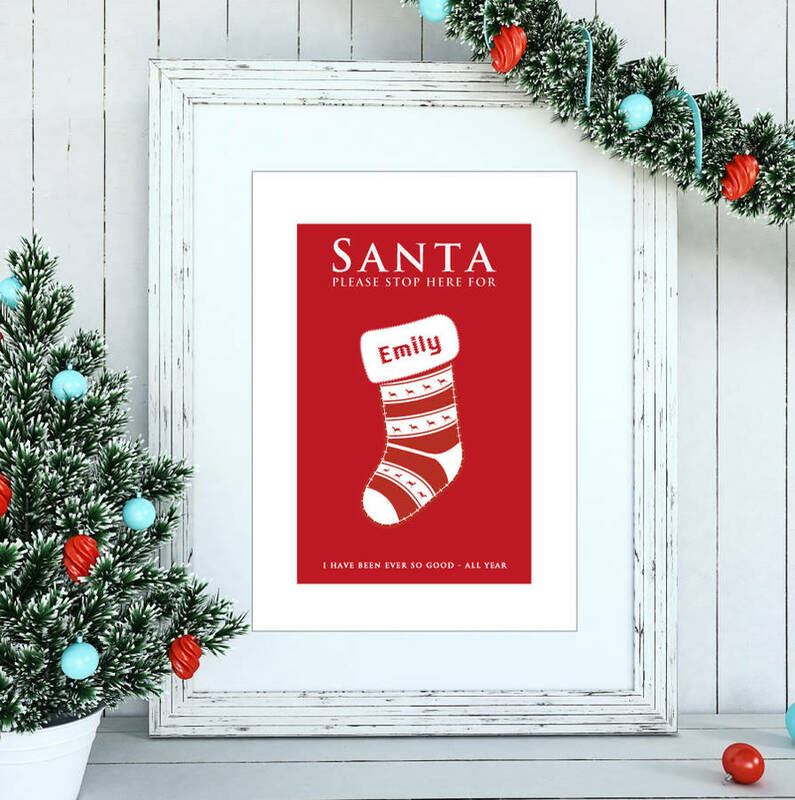 A wonderful personalised Christmas stockings print. This print is the perfect Christmas gift which will become a treasured family decoration and a wonderful memory of Christmas time. We think everyone in the family will love to see this displayed or put up in a childs bedroom before Christmas Eve. You can select a single stocking print, or a print which features a number of stockings all together for all of the kids and or Mum and Dad too. We have shown the print with various different fun copy lines at the foot, you can choose any of these or your own. This print comes UNFRAMED, and is available to personalise with however many stockings and names you wish. H297mm x W 210mm, H420mm x W297mm.